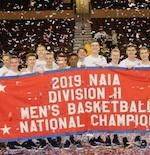 Culver-Stockton College announced Wednesday that it has relieved Jack Schrader of his duties as head coach of the Wildcat men's basketball program effective immediately. 'After careful evaluation, we felt like this was the right time to make a change in the leadership of our program moving forward,' Director of Athletics Pat Atwell said. 'We want to thank Coach Schrader for his service to Culver-Stockton College. 'His ability to lead the team to back to back NAIA tournament appearances is an achievement that he should be extremely proud of. Many young men have benefitted from his guidance.' 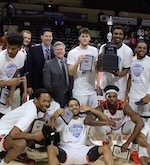 Schrader compiled a record of 89-128 in seven seasons as head coach including back-to-back trips to the Buffalo Funds-NAIA Men's Division I National Tournament in 2013 and 2014. He guided the Wildcats to a 50-89 mark in conference play during that span. The search for a new head basketball coach will begin immediately.